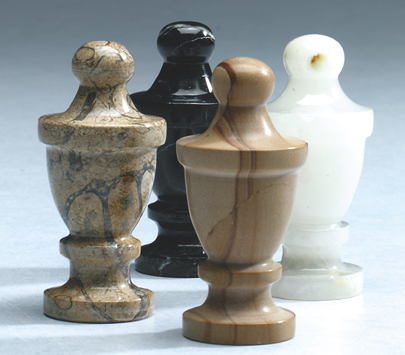 Assorted types and colors of marble* are available in this keepsake. Choose from fossilstone (shown left), teakwood (shown front), dark green (shown rear) or light green (shown right). Urn surface is not engravable.